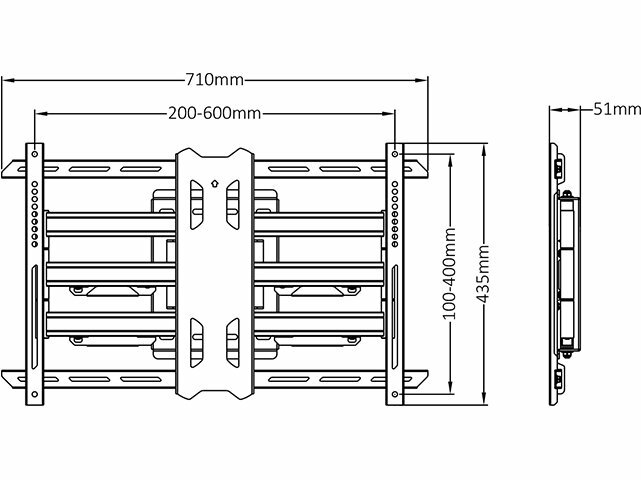 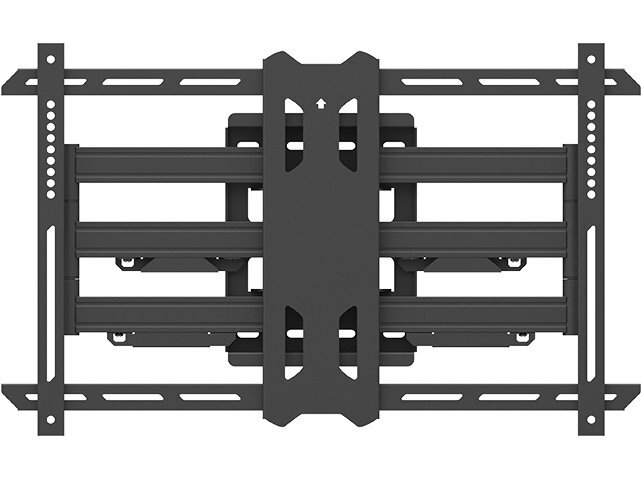 Multibrackets M Universal Flexarm Full Motion Wall Bracket for TVs up to 70"
This Full Motion Wall Mount with dual extension arms will mount most flat-panel TV up to 60Kg's to be mounted in a corner of a room. 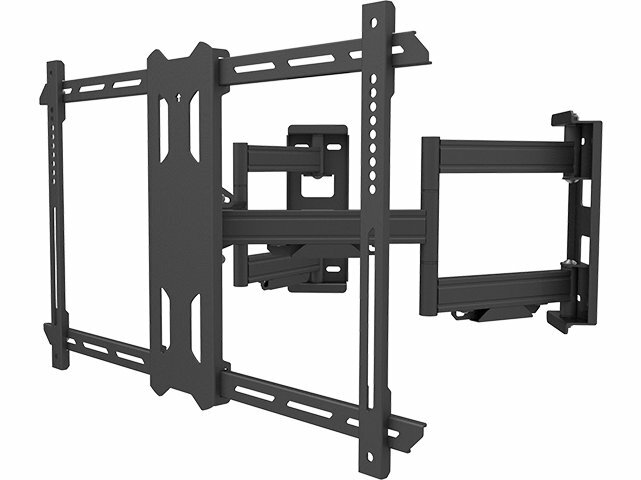 With its ingenious design it allows even the very large TVs to extend up to 56cm from the a corner and retract, tilt, and swivel with ease. 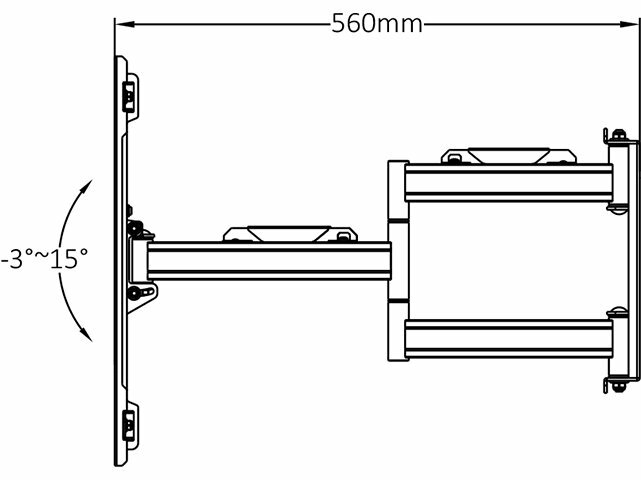 Using smart tilting technology we allow effortless viewing angle with a tool less manual adjustment.